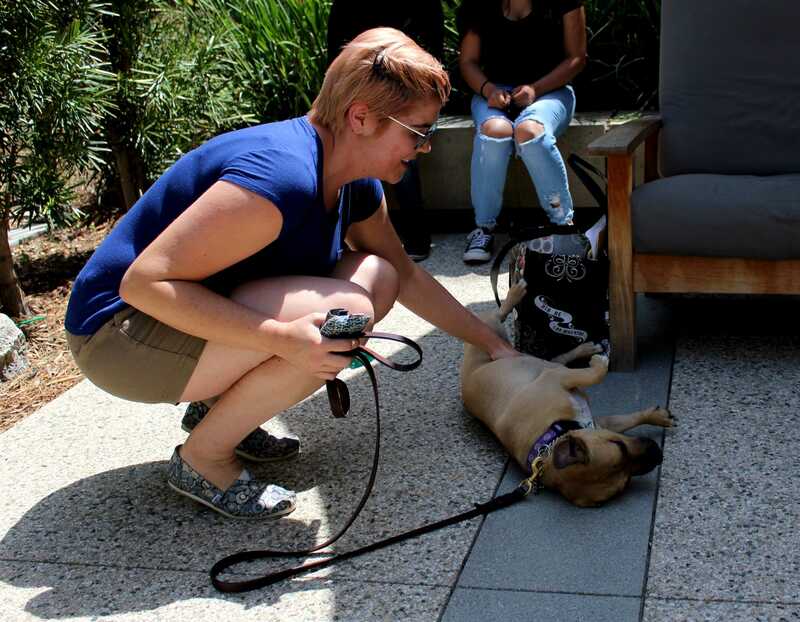 Therapy dogs to the rescue! 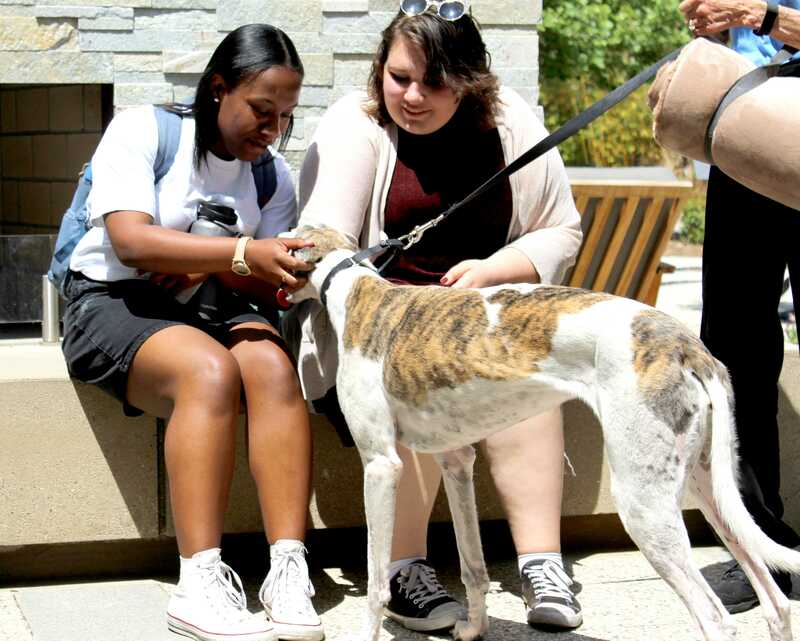 Students and staff members gather around different types of therapy dogs, greyhound, german shepherd, pitbull and chihuahua mix, and poodle, as they were brought into a shaded area. 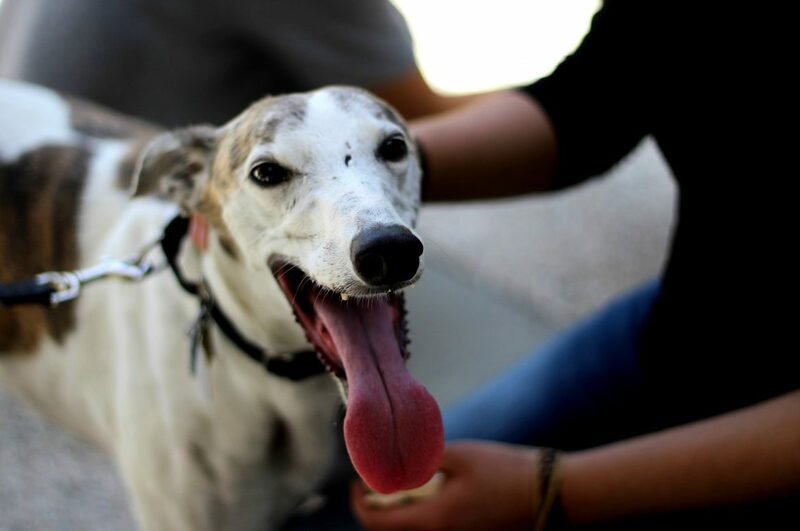 The dogs are part of a nonprofit organization called Love on a Leash, who are dedicated to bringing happiness and comfort to people nationwide. 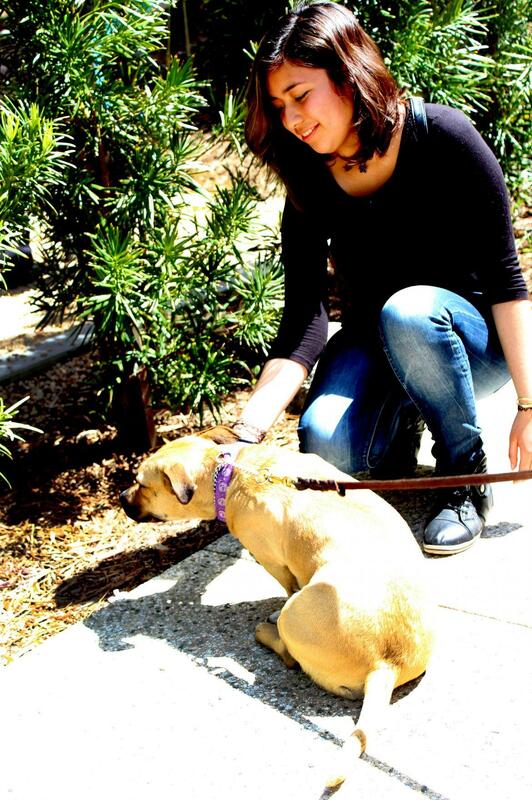 They have groups of volunteers that bring awareness to pet-provided therapy to their community. 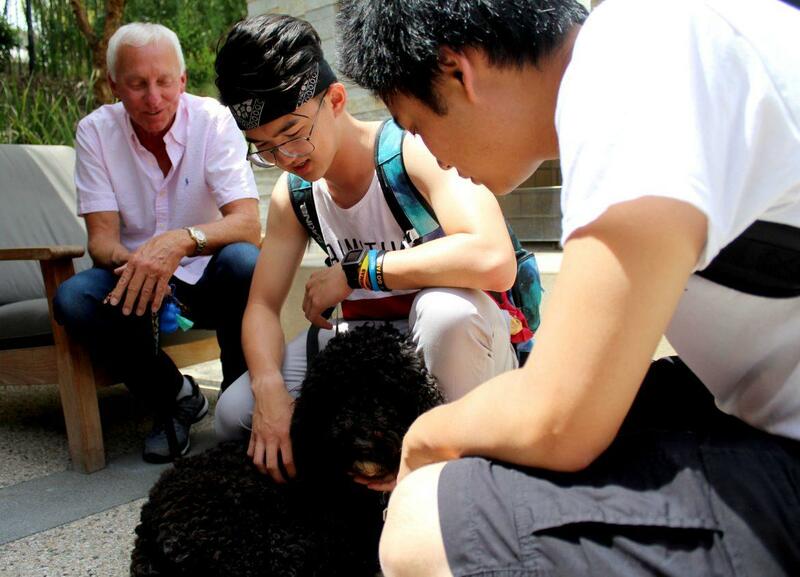 “These are working dogs, so they take directions and instructions very well,” said Tom, the owner of his poodle, Kona. The majority of the members are volunteers and have visited nursing homes, hospitals, and schools to provide emotional support. 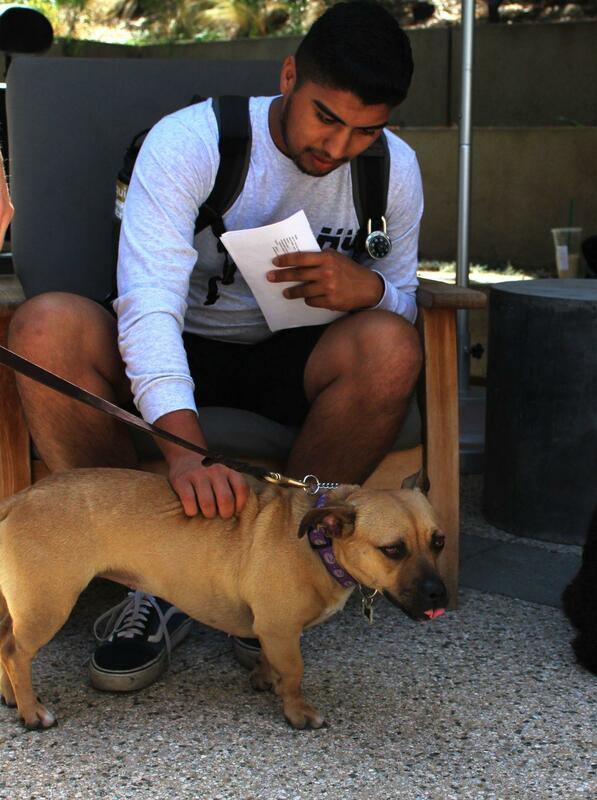 Their primary goal is to brighten someone’s day with therapy pets. Kathy Spilos, the owner of the german shepherd Caelia, has visited CSUN multiple times during midterms and finals week. 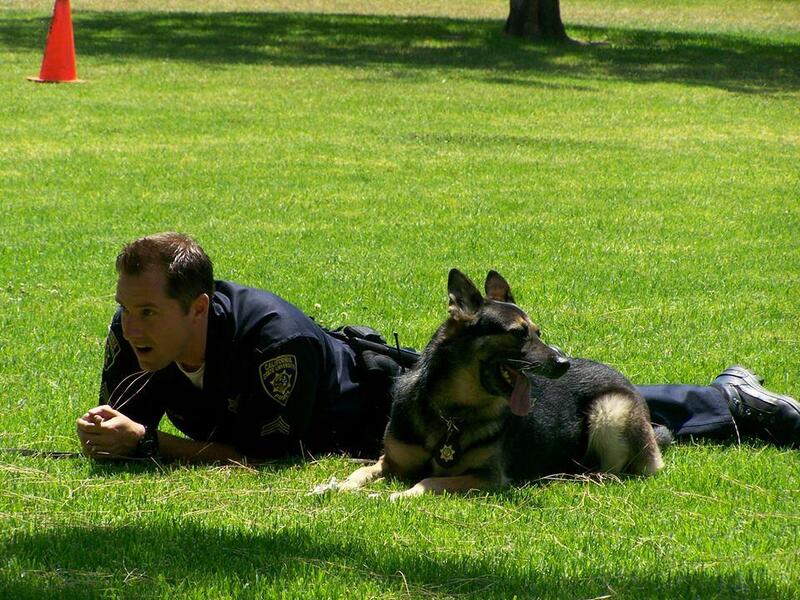 She is also part of the German Shepherd Dog Club (GSDC) from San Gabriel Valley. 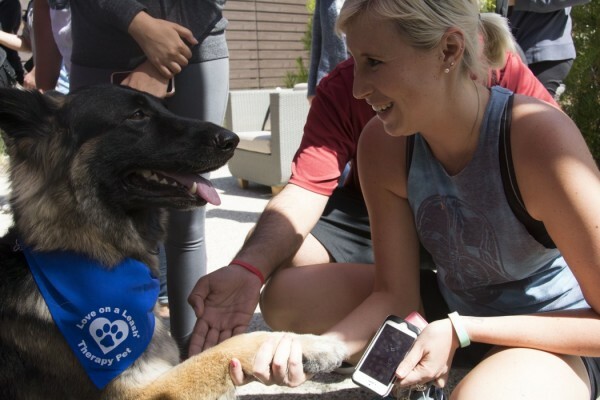 Whether it’s an hour or a small moment between classes, hugging and talking to therapy dogs have seem to help students unwind before knocking out their exams.